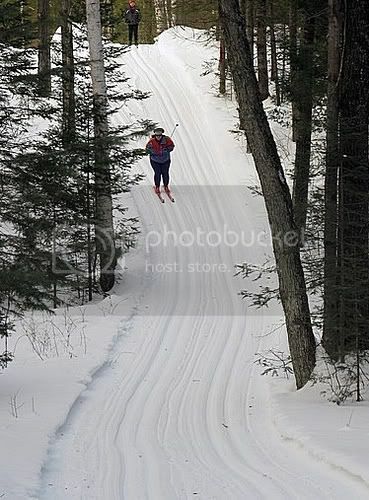 Skied Underdown yesterday during the snow. Pretty slow going with the tracks filled in with fresh, cold snow. There is plenty of snow on the trails and in the woods and I think that the conditions will improve as the days go by. Eventually they plan on building a shelter there, so the more folks we can get on the trail the more need they may feel to build it. 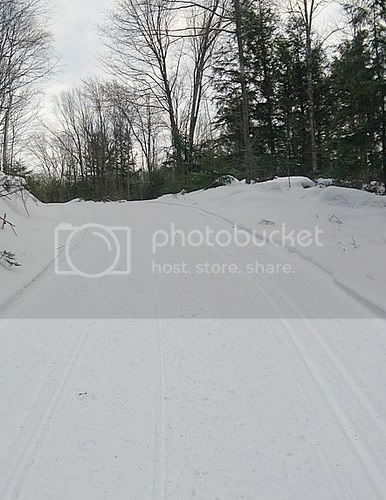 I see the mountain bike single tracks are now marked as snowshoe routes, which opens up another Winter venue in Lincoln County. Interesting seeing the difference in conditions from the last time I posted about Underdown. Things were pretty soft then. Totally different today. Its hard for a Norwegian curmudgeon who fits the taciturn stereotype to say something like this, but conditions at Underdown are close to perfect. The tracks are machined into the snow, the firmest non-klister tracks I've ever skied in. We used RODE MultiGrade and it worked like a charm. Clung like glue on the uphills and was fast (too fast for my wife) on the downhills. Fantastic afternoon. 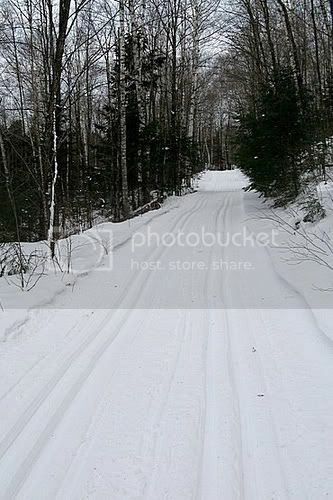 In addition the County groomed Loop Road for skating with one track on the right. They don't do this every year, as Underdown is generally a classic venue. 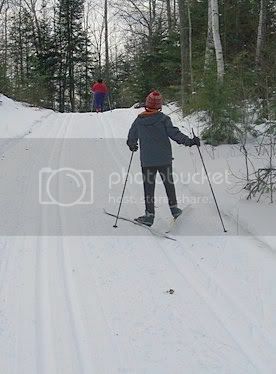 I've skied the road before and it is a very pleasant, rolling ski. I might try to get back out there tomorrow morning and do the 7K's or so of the roadway.